Kareena Kapoor Khan & Lakme Finally Create Magic - Bold Outline : India's leading Online Lifestyle, Fashion & Travel Magazine. Every season, Lakmé introduces a new collection of products to a waiting legion of makeup addicts. Now, not just a label, but a superstar has entered the showground of fashion labels. For the first time ever, the brand has introduced a range which has been co-formed with their long-time brand ambassador, Kareena Kapoor Khan. The grand finale of Lakmé Fashion Week Winter/Festive 2018 evening saw the launch of her first make-up line titled ‘Kareena Kapoor Khan by Lakmé Absolute’. 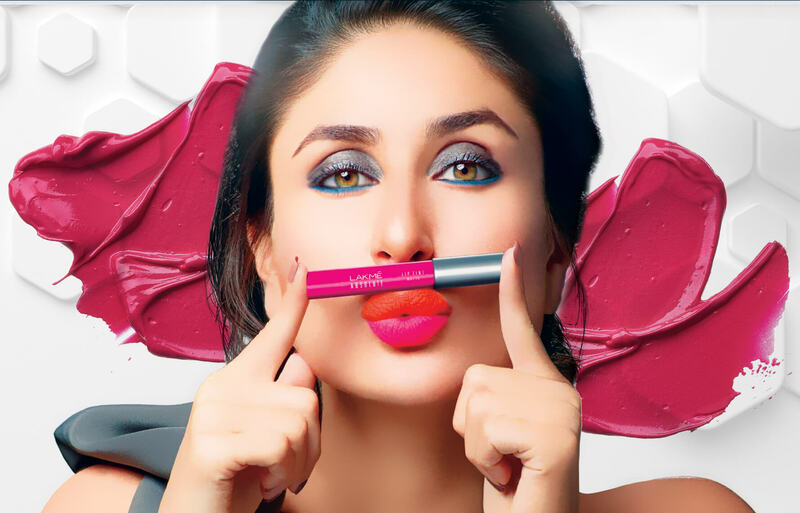 The Kareena Kapoor Khan by Lakmé Absolute collection has a lot new variety of cosmetics. The actor has curated this makeup line which introduces new format products like cheek contours, face contours and pout definers, ones that are presented by Lakmé. This sort brings life to Lakmé’s beauty theme of the season, ‘Shades of a Diva,’ a range that is managed in a way that would feed every woman’s inner diva. Kareena Kapoor Khan, Brand Ambassador, Lakmé says, ‘I have been the face of Lakmé for so many years now and my love for the brand has only grown. My love for makeup is well-known and today unveiling my first collection of makeup with them is almost an emotional experience for me. The range includes the shades I love, the textures I love and I am super excited to introduce new formats and products that I am sure every woman out there is going to love.’ Kareena also revealed her style statement when it comes to make-up. The actor said the kind of lip-colour she prefers during different occasions like a wedding, a house party, or just an official meeting is all available under the label. The variety ‘Kareena Kapoor Khan by Lakmé Absolute’ comes in a black and gold packaging and includes a lip liner, pout definer, eye definer, brow definer, lash definer, and face and cheek contour.